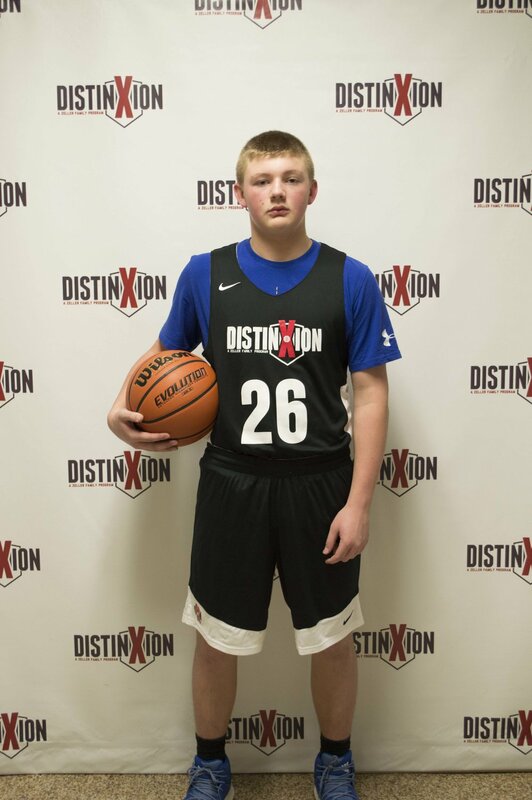 My name is Carter Kimmel and I chose DistinXion because I have done some workouts with the Zeller family before and I enjoyed them. They are good people that have a lot of playing experience. I think they will help me become a better player and person. My basketball goals are to play as long as I can. Outside of basketball, my goal is to be a sports commentator. After high school I would like to study Sports Broadcasting or History. My dream job is to work for a major sports network. Outside of basketball, I like to hunt, go shooting, play dodge ball, throw shot-put and play video games. A fun fact about me is that I like to go to Living History events like Civil War and Revolutionary War Reenactments.